We picked the name "Reverence" because it's what we feel for the natural world: deep awe and respect sprinkled with divine. We've learned through our own health journey that if one can live in a place of gratitude and reverence despite the body's pains and afflictions, then one's quality of life is already vastly improved! 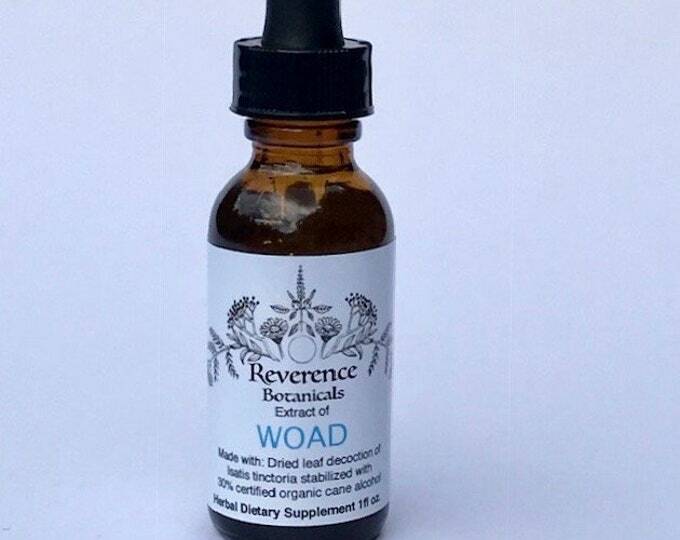 What sets Reverence Botanicals apart from many other herbal companies is that we are small family business making herbal extractions in micro batches with herbs that we grow or ethically wildcraft ourselves. We do not buy dried herbs from other sources. The extractions we make are lovingly made with freshly harvested plants. Our gardens are grown using organic and biodynamic methods. No harsh chemicals, pesticides or fungicides are used in our farming practices. Our farm is located in the pristine South Toe River Valley, deep in the Pisgah National Forest of Western North Carolina. We are very remote, deep in the high mountains among the headwaters of the sparkling South Toe River, far away from city smog. We have an artesian well upon our beautiful land and it is that pure clean water that we use in our formulas. No chlorine or fluoride is added to our water. 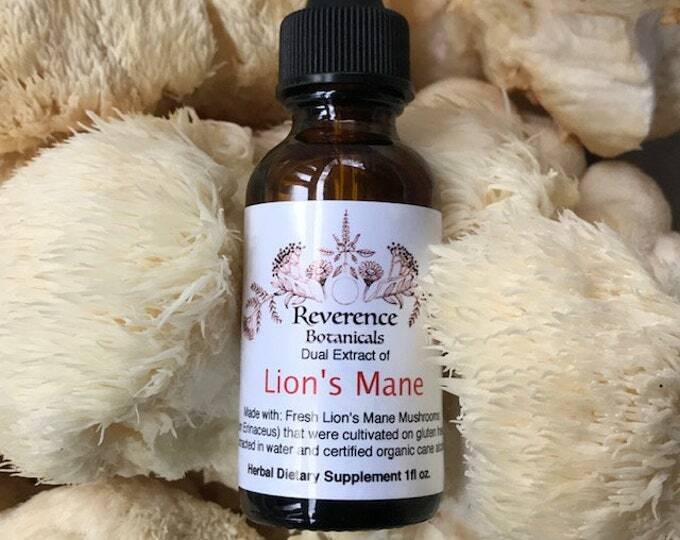 Reverence Botanicals extractions sit for 6 weeks in certified organic menstrum. We do not use percolation tincture methods. 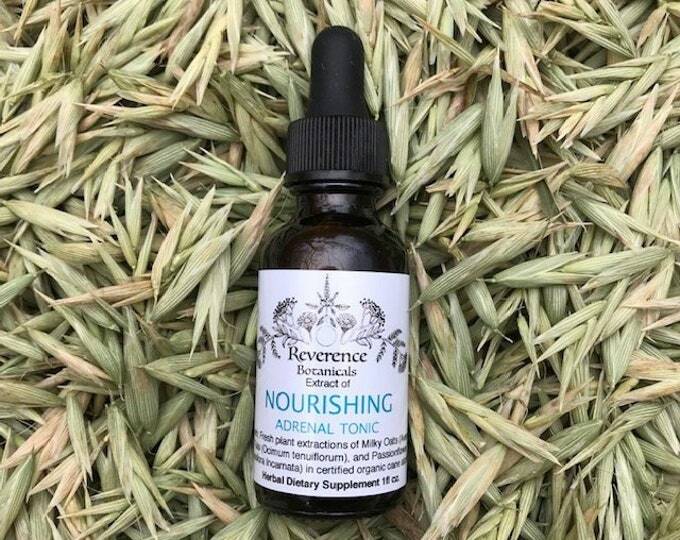 Our family has struggled with tick borne illness and we know how very important it is to use the best quality, pure, straight from the Earth ingredients for making medicine. Our products are crafted in a gluten free kitchen. 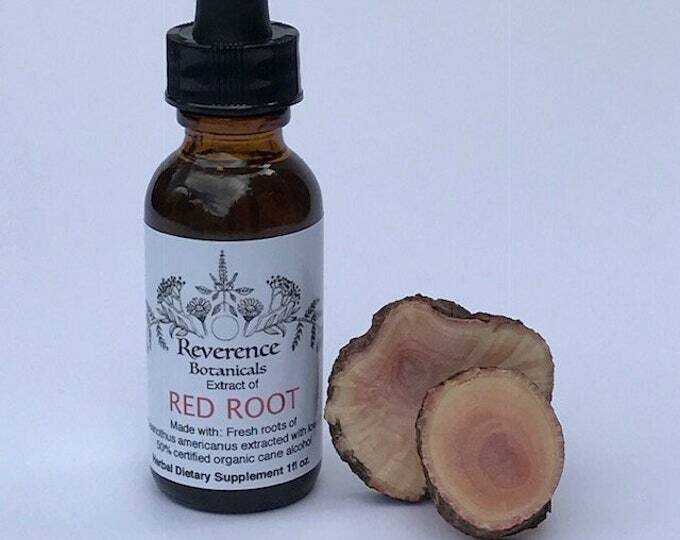 All of our tinctures are vegan. Jem and Meredith Klein are long time plant lovers. They have been cultivating gardens since they were young children. Jem and Meredith met in 2002 in Willits, CA at the Motherland Botanical Sanctuary while harvesting lavender. Two years later, they were married under the Oak trees at the sanctuary. Their lives together have been filled with many gardens. They have planted seeds, herbs and orchards where ever they roamed. They left CA in 2012, soon after their second son, Eben, was born. They were yearning for fireflies, abundant wild medicinals, and summer rain to water their gardens. They felt the strong need to leave the heavily tick infested countryside of Mendocino County, California. Meredith, Jem, and their first son, Oak, were all struggling with severe Lyme Disease symptoms. They journeyed east and bought a micro-farm that backs up against the Pisgah National Forest in Yancey County, NC in 2013. They have been lovingly cultivating the land since. Jem is a woodworker and flute maker, as well as an herbalist. You can see his work at www.JemKlein.com. Jem worked with master flute maker, Monty Levenson, for nearly 15 years. He began studying with Monty at age 15. Jem was raised in the back hill country off the grid and was fully homeschooled. He is a self taught wood worker, organic gardener and naturalist. Jem has been deeply inspired by the work of Tom Brown, Richo Cech, and John Jeavons. Meredith is fascinated with the plant world. She studied herbology in the lineage of Juliette de Baïracli Levy, Rosemary Gladstar, and Donna D'terra. Her work has been profoundly influenced by Deb Soule, Stephen Harrod Buhner, and Matthew Wood. Meredith studied biodynamic agriculture and beekeeping with Gunther Hawk at the Pfeiffer Center. She studied natural building and sustainable living at the Solar Living Center. She spent many years in her late teens and early twenties apprenticing on biodynamic farms. She apprenticed for a year with Terra Rafael studying Ayurvedic medicine and midwifery. She trained as a holistic midwife with Jan Gargan in Taranki, New Zealand. Meredith gave up midwifery as career, due to the physical hardships of Lyme Disease. Meredith has been working passionately to raise awareness about Lyme Disease. She has made a series of videos educating people on herbs used in Lyme treatment. You can check out her videos on her channel 'Lyme Compass' on YouTube.com. She has also built an educational website on Lyme Disease: www.LymeCompass.net. Both Jem and Meredith homeschool their sons. They spend a lot of time in nature, observing the beauty of the natural world. Jem and Meredith run a free herbology class for children through their local 4H program. They live in the United States' most botanically diverse region and feel it is of the utmost importance to teach children respect for the land and knowledge of what is growing around them.